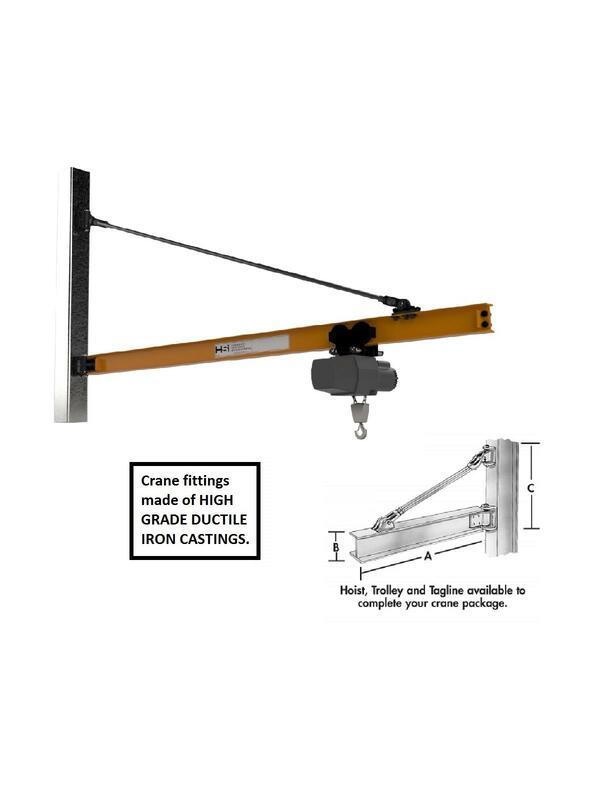 Wall Bracket - Tie Rod Jib Crane | David's Inc. Larger spans and capacities are available. Designed to be mounted on columns or walls to obtain economical hook coverage over a 180° sweep. Roller bearings are used in all fittings for ease of rotation. Crane fittings made of HIGH GRADE DUCTILE IRON CASTINGS. Equipped with roller bearings, grease fittings and steel axles with cotter pins. 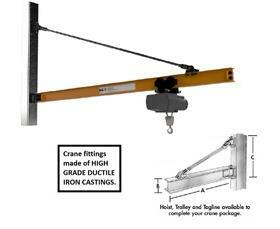 Heavy-duty I-beam boom is complete with removable end stops. Rotation stops available -- call for pricing. Yellow enamel finish. FOB Shipping Point. 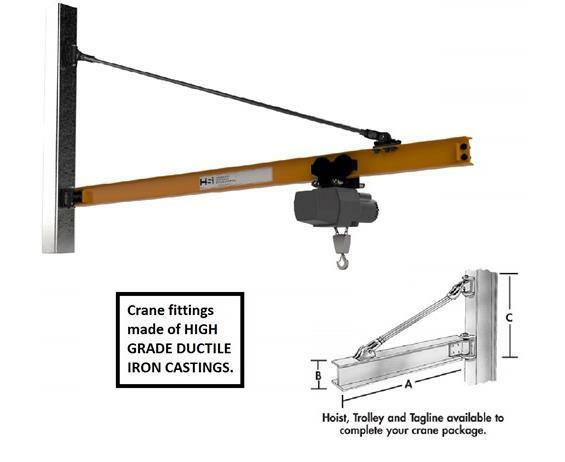 Hoist, Trolley and Tagline available to complete your crane package. Can be Motorized -- Contact us for Pricing.